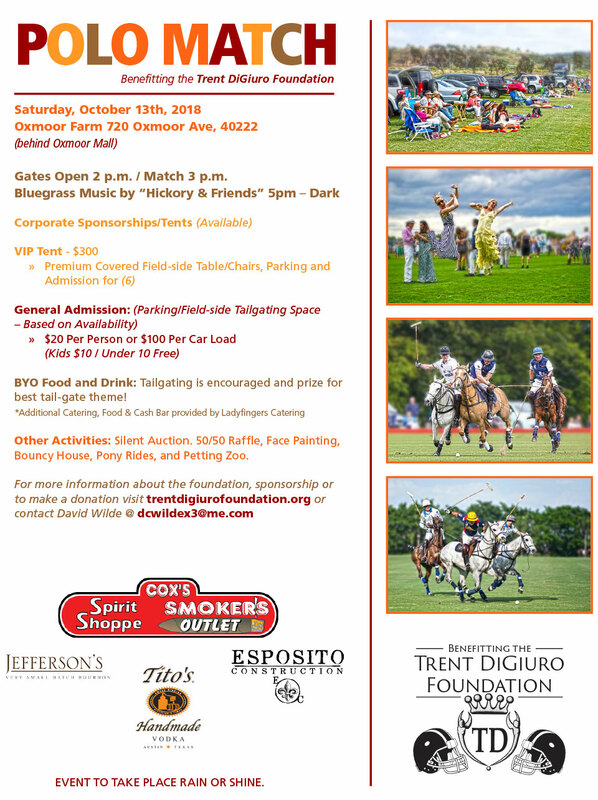 Bring your family and friends to support The Trent DiGiuro Foundation while enjoying exciting polo and a picnic at beautiful Oxmoor Farm! Other Activities: Silent Auction, 50/50 Raffle, Face Painting, Bouncy House, Pony Rides, and Petting Zoo. Please complete the form below to purchase tickets online. Your information will not be sold or distributed in any way. Upon completion of the form below, you will be directed to the payment options page. Note tickets will not be mailed. Your name and the option you purchased will be at the gate.